Burant Heating & Air Conditioning LLC has focused on providing an assortment of HVAC services in Southeastern Wisconsin for more than 15 years. They have worked on more than 9,000 jobs of various kinds. Your needs are the company’s foremost priority and they work diligently to perform a job to your satisfaction. Additionally, Burant Heating & Air Conditioning LLC is accredited by the Better Business Bureau. 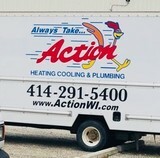 Visit their website for more information or call their team today at (414) 386-3660 for your free estimate. Outstanding workmanship, professional employees, and superior products have helped Tom’s Heating build a cherished reputation throughout the area for more than six decades. That’s why Waukesha County homeowners and businesses alike turn to Tom’s Heating for expert heatingand cooling repairs or Carrier replacement equipment. Tom’s Heating is the award-winning choice! 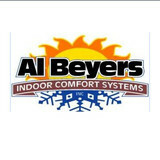 For over 45 years, we have been helping neighbors, throughout Milwaukee, Waukesha and Racine Counties enjoy total indoor air comfort in their homes and businesses. Whenever you need us, we are here for all of your heating and cooling concerns – from scheduling maintenance and repairs to installations and duct cleaning for your home or business. We are always just a phone call away. Generally, Muskego HVAC contractors or HVAC technicians work with or run companies that repair or install heating systems and air conditioning units for homes. But they have specialized services too. For example, if you are a wine collector and you are thinking of installing a wine cellar in your Muskego, WI home, you might hire a Wisconsin HVAC professional who specializes in refrigeration work. HVAC professionals can use their skills to help you to save money on your Muskego, WI home’s energy bills by installing radiant barriers in your attic or split-zone heating and cooling systems to heat rooms like solariums while cooling upstairs bedrooms during warmer temperatures. Find HVAC contractors on Houzz. 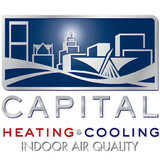 Look in the Professionals section of our website and search for Wisconsin HVAC contractors. Read reviews and see how an HVAC contractor might approach your Muskego, WI home’s heating and cooling challenges.